I first visited Port Douglas more than 30 years ago and every time I return, I find it just as unspoiled and peaceful as it was the first time I saw it. Located 70 km north of Cairns in far North Queensland, Australia, the town’s population of 3,500 more than doubles when the influx of tourists visits between May and September. 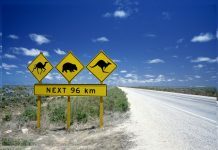 What draws travelers to this unique part of Australia? Here are my recommendations on what to see and do in Port Douglas. Unlike it’s southern counterparts, Port Douglas only experiences two seasons each year. The tropical summer which starts in December and extends through to April is hot, wet and humid and best avoided. The cooler, dryer winter months, from May to September, are definitely the best time to visit as up here winter doesn’t exist. With temperatures around 26 degrees, you can enjoy a swim at Four Mile Beach, go out for a jet ski, cruise the Great Barrier Reef or snorkel alongside colourful tropical fish. The balmy winter temperatures drop to a pleasantly cool 17-19°C, so although you should pack lightly, remember to bring something warm for eveningwear. Sunscreen, hat and insect repellent are also recommended. 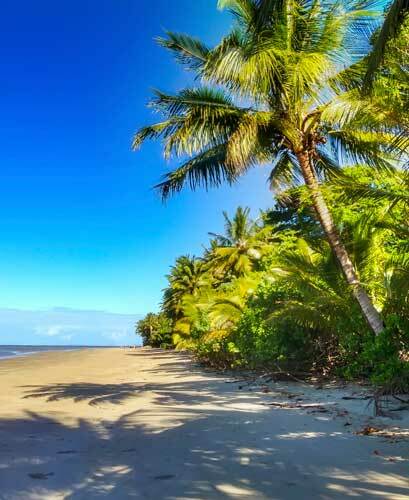 Port Douglas’s palm-fringed Four Mile Beach is one of the best-known and popular beaches in Northern Australia. 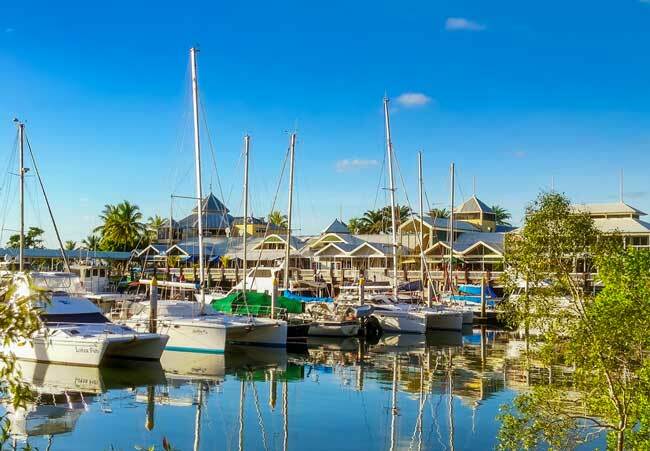 Starting from the Esplanade, you can walk the golden sands and follow the footsteps of the former US president Bill Clinton, Tom Hanks, Mick Jagger and Kylie Minogue who have all succumbed to Port Douglas’s charms. You won’t find towering high-rise buildings or bustling shopping centres here, and the only passing traffic may be the occasional sand yacht or kite surfer. The Great Barrier Reef, which is one of the world’s most spectacular natural wonders, lies just off the eastern shore of Port Douglas. The Great Barrier Reef is home to more than 400 species of coral, 1500 species of fish, sea turtles, dolphins and rays. There are a wide range of tours to choose from and you can cruise, snorkel or sail around the reef. Several of the cruises and yachts provide snorkelling equipment for you to use; some tours are held on glass bottom boats. 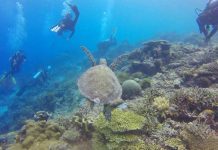 Scuba diving can also be done from some of these vessels and many of them offer special rates for families to explore the reef. One of my favourite activities when I go to Port Douglas is driving up to the Daintree Rainforest. This is the oldest rainforest in the world and is on the World Heritage List. Waterfalls and waterholes line the drive through this unique and tranquil forest which supports some of the world’s most famous animals, including the Cassowary, which is a rare and endangered flightless Australian bird. 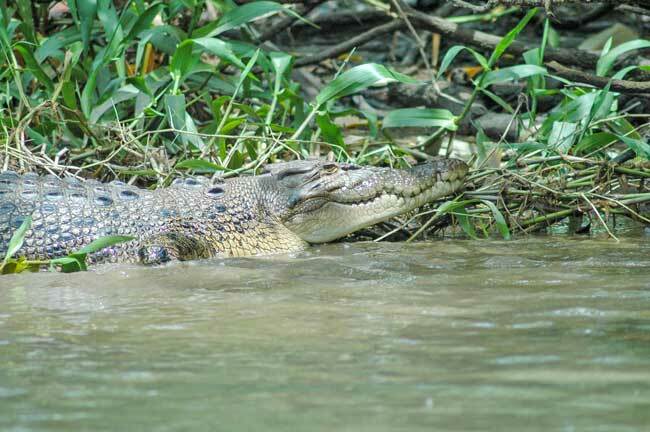 Last time I was there, we cruised down the Daintree River and then stopped and enjoyed a Crocodile Burger. There is a tour for every taste, including one that is led by indigenous aboriginal people. On that tour, guests will slide in the mud of mango swamps, learn survival skills and how to catch your own seafood dinner. Alternatively, you can be driven through the forest or have a combined cruise and drive tour which has exclusive access to the Cassowary Falls. Another favourite is Jungle Surfing where you can fly through the canopy and look for crocodiles as you explore the Daintree Rainforest from a different perspective. 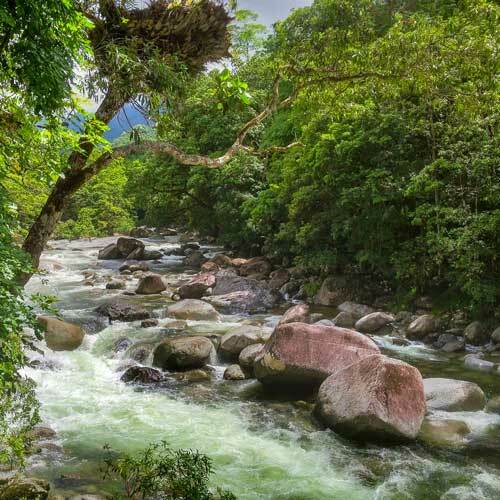 Mossman Gorge is a very accessible and scenic section of the Daintree Rainforest. The best way to see it is to take the 1.5-hour or the 3-hour Dreamtime walk in the gorge. Groups are limited to 15 people at a time and are led by a traditional owner. The tour will give you the chance to walk along private, east graded tracks and visit special places and culturally significant sites. You will also be shown past traditional bark shelters and the over meandering cool rainforest stream. This walk is an easy one to do. Just make sure you wear sunscreen, a hat, insect repellent and comfortable shoes. 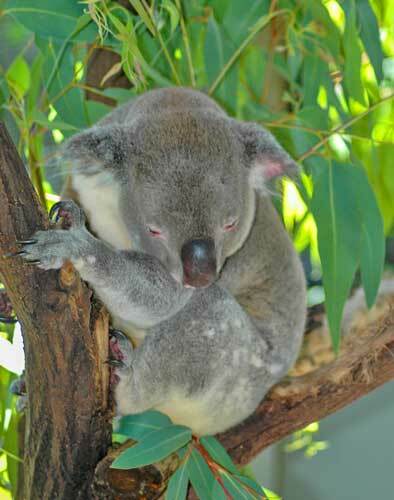 If you want to cuddle a koala, meet pythons or crocodiles, hand-feed kangaroos or see some of Australia’s amazing birds then the Wildlife Habitat is the place to go. Located at the entrance to Port Douglas, the Wildlife Habitat five-day entry pass includes free tours through the habitat. For two decades, the original Breakfast with the Birds has been a favourite with visitors. Here you enjoy a fantastic tropical breakfast while you enjoy watching and listening to wide range of Australian animals wander around. Breakfast with the Birds operates from 9:00am to 10.30am each day. Bring your camera so you have photographs to treasure when you get home. Some of these photographs can be taken in a large bird enclosure where you will get details views of the Australian birds, all supervised by a Wildlife Keeper. If you are thinking of buying a souvenir or gift for a loved one, then make sure you go along to the Sunday Markets. These colourful open-air markets are held every Sunday morning at seaside Anzac Park. The market offers a wide range of goods produced by local craftsmen and artists as well as mouth-watering selections of fresh fruits and vegetables from local growers. 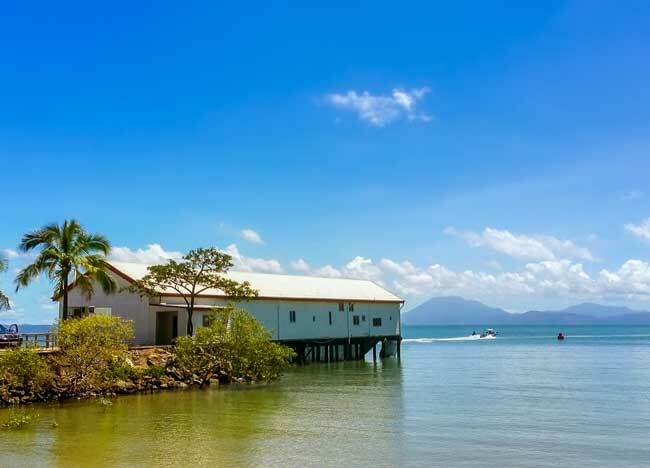 From villas to unique hotels, there is a wide range of accommodation to choose from at Port Douglas. 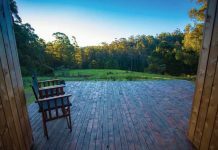 Whether you choose to stay at a resort hotel, a villa, a self-contained apartment or a backpacker hostel, you should be able to find accommodation to suit your budget. For those who enjoy camping, there are several Caravan Parks where you can either park your campervan, pitch your tent or hire a self-contained cabin or unit to stay in. Luxurious lodges in the Daintree National Park are also available. Port Douglas has a wide variety of restaurants and cafes. Fresh seafood is always a good bet, and there are also Asian, Thai and Italian restaurants to choose from. You won’t have any trouble finding gluten free food or vegetarian dishes either. 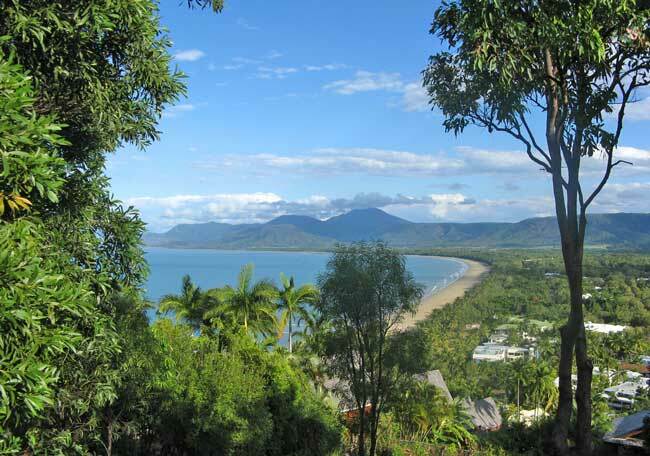 There is something for everyone at Port Douglas and you don’t need to spend a fortune. If you’d rather not have a cheap eat, then you can either try one of the mid-range restaurants or if you are celebrating a special occasion or feel like treating yourself then you’ll have plenty of options along the fine dining range. The nearest airport to Port Douglas is Cairns, a larger town in Queensland, Australia. Once you have flown to Cairns, you will need to hire a car to drive to Port Douglas. Driving to Port Douglas from Townsville where I live is a lovely drive and it gave me the chance to see the Atherton Tablelands. If you want to sit back and relax while you travel through the beautiful Queensland countryside then travelling by train is a great option. For more details look at www.queensland railtravel.com.au or phone 1300 131 722. To get more detail about all the attractions, activities, accommodation and restaurants I have mentioned in this article I suggest you visit www.tourismportdouglas.com.au and or www.visitportdouglasdaintree.com.au. Both these websites are easy to use, full of great photographs and there isn’t anything they don’t tell you before you start your journey! Author Bio: Helen Downs is a freelance writer who lives opposite the beach on Magnetic Island, located on the Great Barrier Reef, in Queensland, Australia.